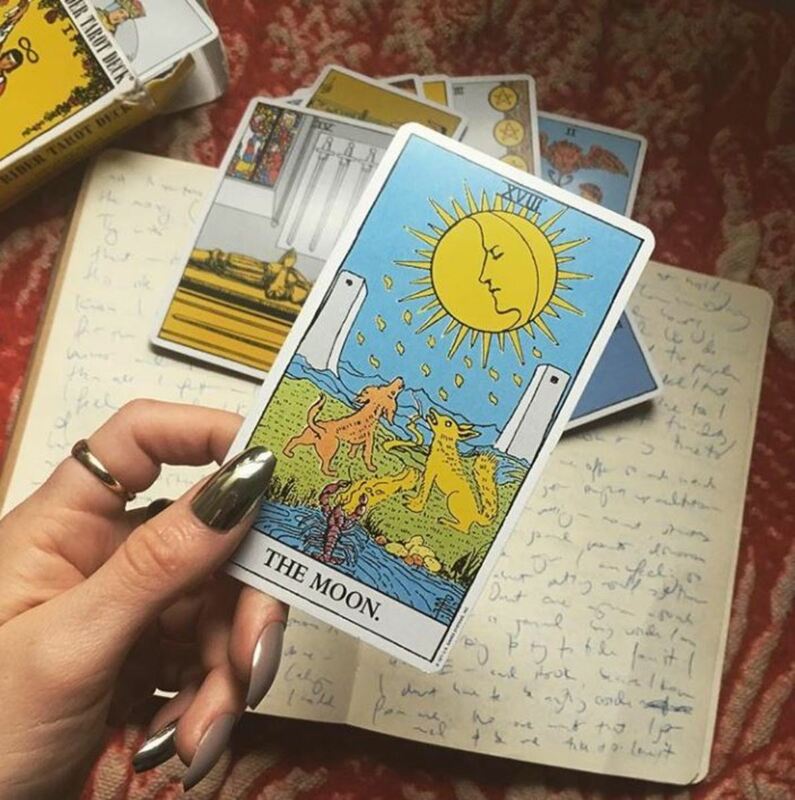 Tarot and oracle cards are being used for everything nowadays, from everyday contemplation or meditation to nutrition decisions. Readings for the collective have become popular in the vlogging world. Just search "tarot reading" on YouTube and you will see. Some readers even provide monthly readings by your sun sign or readings for a variety of spiritual identities such as starseeds and twin flames. Wherever you happen to fall on the spiritual spectrum, whether you like more "out there" content or you just want advice for your everyday, there is going to be a card deck that is perfect to help you understand and communicate your inner wisdom. In this article, I will go over five decks that have been most helpful to me personally for learning, self-readings, and reading others. 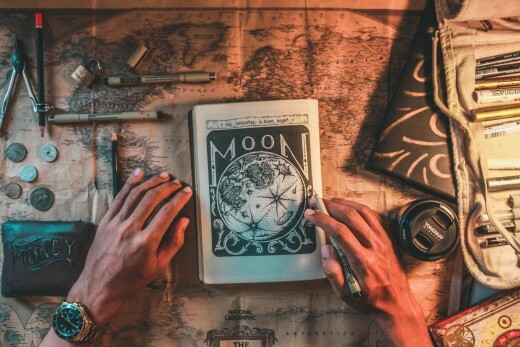 Even the best readers may consult the guidebooks to these decks on occasion, but it is always best if you can go over each card and learn its meaning personally for you. This meaning may change as you study the cards more or give readings to different people, which is perfect! As a reader, you always want to be shifting and learning. Interpretations and symbols can change over time. The increasing popularity of the tarot and its use by therapists and coaches is helping more people to see that the cards are not scary. They are tools, and many people use them for good. If you enjoy looking for the meaning in your life, you will likely enjoy using the cards in your everyday practice. The Akashic Tarot is a great deck for any reader, whether they are just starting out or have been at this for a long time. The images on the cards relate well to the descriptions and meanings in the guidebook, but of course, you should always interpret the cards intuitively based on their meaning to you. For those who tend to be put off by the scarier cards in the traditional tarot, such as Death, you will be happy to know that this deck has replaced them with slightly more positive (but still realistic) cards. This is akin to how Doreen Virtue does her decks, but maybe it isn't as fluffy. I gravitate more toward the realist cards than the fluffy ones, so this deck is perfect for me when I want to use something more uplifting but that still makes sense to me and provides me with practical advice that I can use in my everyday. If you are drawn to Archangels, this deck also features them! If you have not heard of the Akashic Records before, they are a field of energy that contains all information throughout time related to each of your human incarnations. These cards are based upon that, and you can get a very meaningful reading by using the spreads detailed in the guidebook. My favorite is the Wheel of Life spread, which uses eighteen cards, arranged in a way that shows you the lessons you're experiencing in love, career, finances, etc. and helps you to use this information to be the architect of your life. Reading with this deck, whether for yourself or others, is productive no matter the question or subject matter, and you walk away having clarity about something that you didn't before. The Druid Craft places a Druid and Wiccan spin on the traditional images and archetypes from the Rider Waite deck. The guidebook included with the deck is full-length and contains beautiful, well-crafted descriptions of the symbolism found in the cards, so this is a great deck to learn with if you are not yet acquainted with the tarot and need a little help finding your own voice and interpretations with the cards. The cards in this deck are colorful and rich with meaning. To me, they have a little more personality than the Rider Waite cards. The figures in these have facial expressions that you can clearly discern and use to add character and meaning to your reading. Unlike the Akashic tarot, this stays pretty true to the Rider Waite ordering and names of the Major Arcana and pip (minor) cards. The images and symbols are similar as well, but I find more meaning in the ways they are conveyed in this deck than the Rider Waite. This was one of my first decks that I bought after becoming familiar with the Rider Waite deck. Steampunk, as described by one of the authors of the deck, is an aesthetic that combines past and future. One description says, "[It is] what the past would look like if the future had happened sooner." If that sounds appealing to you, you will likely enjoy the art on these cards. This deck is also beginner-friendly and has a full guidebook to help you understand the meanings of the cards. Like the Druid Craft, it stays pretty true to the archetypes used in the Rider Waite, but the symbolism and images are very different. In the book, there is also a quote before each card description that relates to the meaning. One of my favorite things about these cards is the women. The women are—for lack of a better word—badass, and they are featured on a lot of the pip cards in varying styles and personalities. Some of them have some androgynous looks, which adds another layer of meaning to the cards. As a bonus, I haven't seen many other readers using this deck, so that may make it even easier for you to stand out and put your own spin to the card meanings. Now on to oracle card decks! I fell in love with this the Sacred Rebels deck by Alana Fairchild. 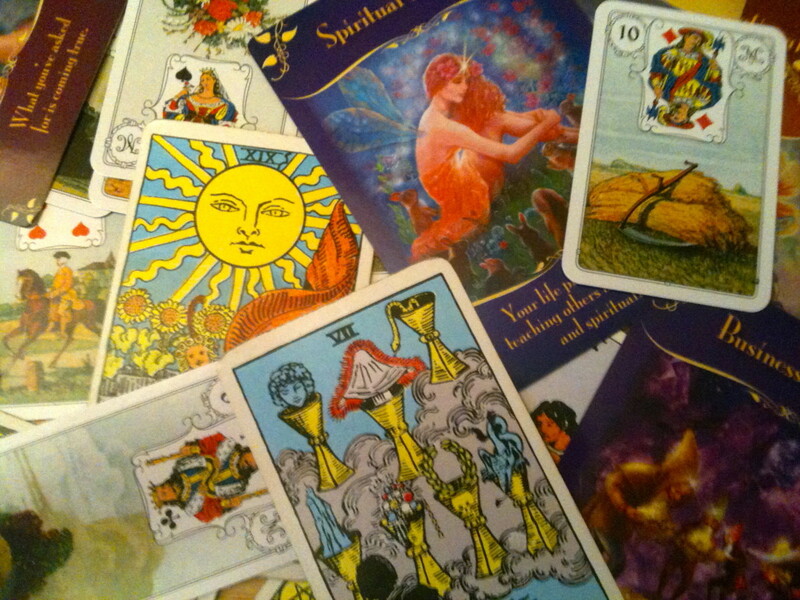 It is different from the other oracle decks I have tried, which featured angels, spirit animals, and ascended masters. Not that any of those things are bad, but I was looking for cards with a more down-to-earth feel. Ones that were easier for me to grasp as a lowly human living on Earth (well, maybe not lowly, but hopefully you understand what I'm getting at). I greatly enjoy spirit animals and the like, but it is not always easy to understand how they apply to my life during a tough day at the office or after a loss, such as a death in the family. These Sacred Rebels cards, keywords, and descriptions offer comfort while still being real and practical. This set features messages like "Follow Your Own Rhythm" and "In the World, Not of the World." 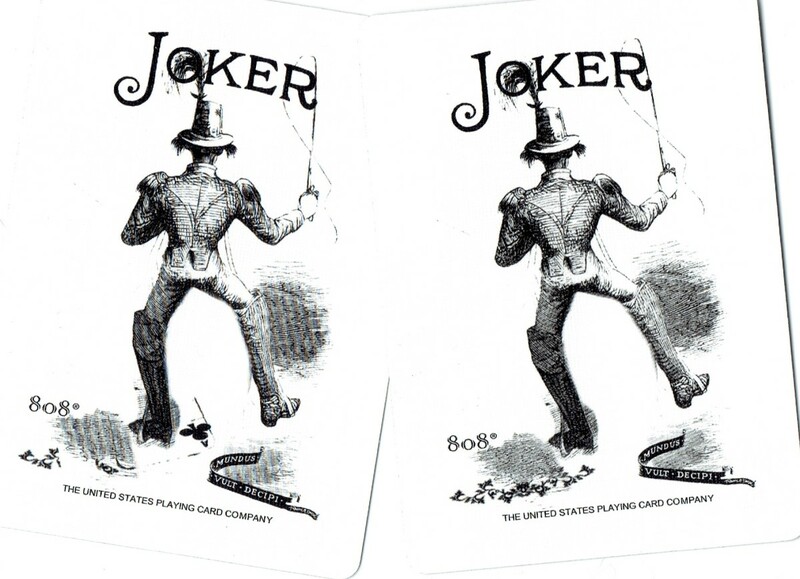 As you may have guessed, the theme of these cards is going against the grain and living a life that is true to you, that may not necessarily be comparable to others' lives. These are for those who grasp the deeper meanings behind everything, who live in a world of meaning, even if they cannot always communicate it. These cards will help you to get out of your head and into your heart. This deck also comes with a guidebook, and each card has a step-by-step healing process that you can follow after reading the meaning. This can be especially useful if you combine your reading abilities with energy healing modalities. If you like Rumi, beautiful art, descriptions that make you think, and being playful, these Rumi oracle cards are for you. This deck was also created by Alana Fairchild. I discovered these cards via a reader I watch on YouTube. 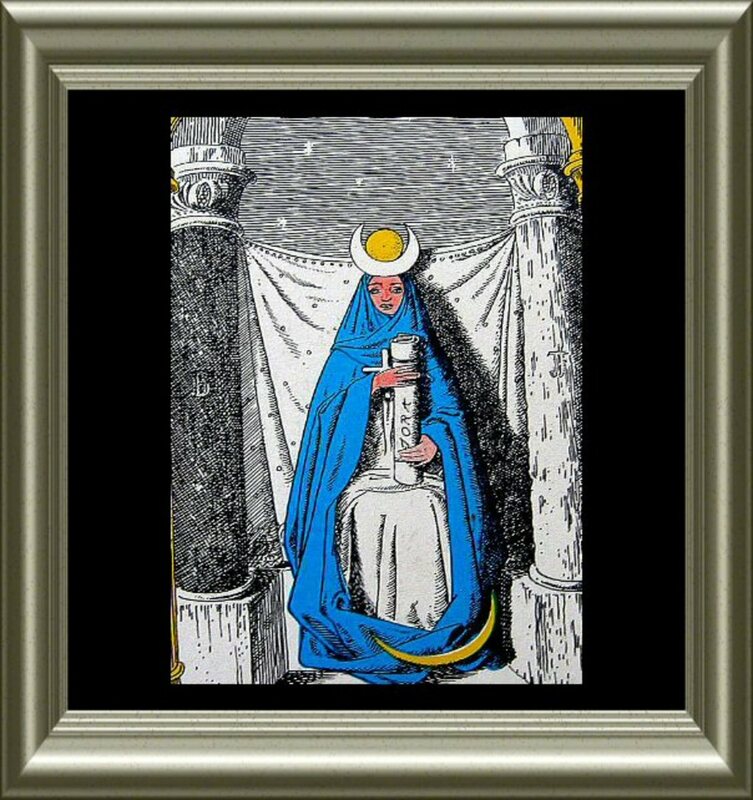 They are so rich with meaning that they can be a little overwhelming if you try to look at more than one, so I like to pull one at a time and sit in quiet contemplation with it, or use one Rumi card to enhance a tarot reading. However you decide to use these cards, they have a message for every occasion and can be of great use to you if you are open to their loving vibration. This is a deck that you could interpret without even consulting the guidebook, because you can get so much from the words, colors, and figures on the cards, even if you are not an experienced reader. These have symbolism that anyone acquainted with spirituality can understand. However, it is best to order the set that comes with the guidebook so you can enjoy the Rumi quotations and descriptions that go along with each card. 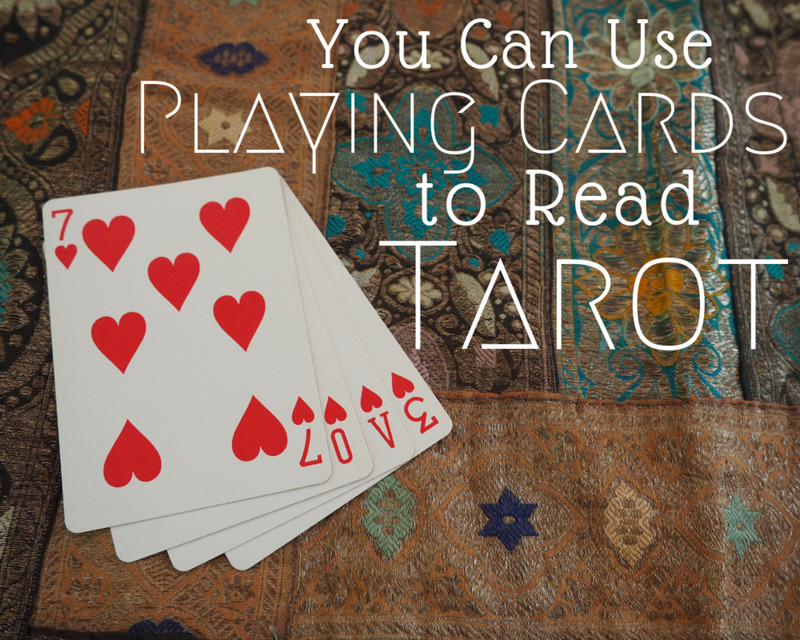 Do you have a favorite card deck to use when reading? I don't use cards, but I'm thinking of it. Yes, I definitely have a go-to! No, I like to try a lot of different decks. I don't read - I'm just curious. Thank you for reading and for sharing your decks too! I read Tarot and I definitely have my favorites and go-to decks. When I read for others, I use my The Llewellyn Tarot, Anna K, The Pagan Ways Tarot, The DruidCraft, The Witches Tarot, and my Mystic Dreamer the most. They are my "no-fails" and always deliver insightful and accurate readings for my clients. 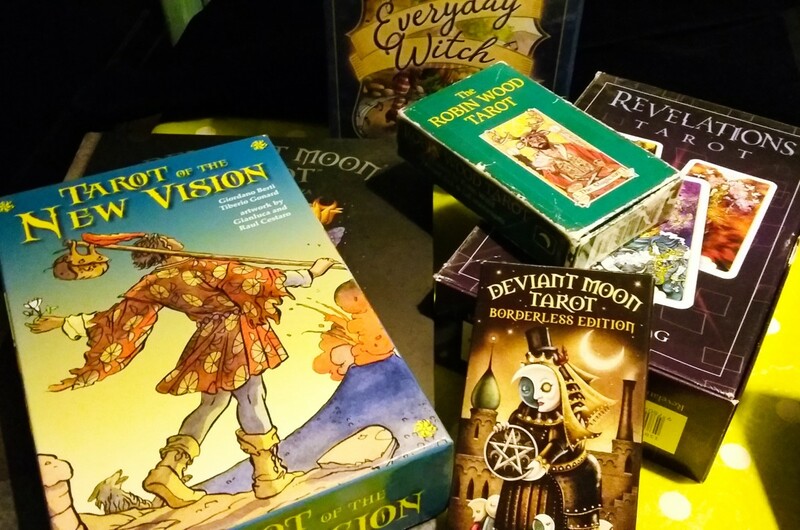 My favorites for personal use are my Tarot of the Hidden Realm, The Paulina Tarot, The Wild Unknown, Tarot of the Vampyers, The Robin Wood. I use many decks but I've found that I gravitate towards certain decks more than others, for sure.